By 4pm today New Zealand will be at war, not ‘possibly’, not ‘figuratively’ but literally at war and it will not be by consensus of the New Zealand Government. The National Party of New Zealand, under the Prime Minister will have decided to put our troops in harms way without the approval of the people of New Zealand, or the majority of our representatives in Parliament. There are many things that concern me about this, and to be clear the least of them is retaliation on home soil by an extremist group, but one of the most concerning issues is that even John Key doesn’t seem so clear on the issue. This morning Mr. Key was on TV 3’s Firstline talking over what is to be announced today with reference to sending troops to Iraq. 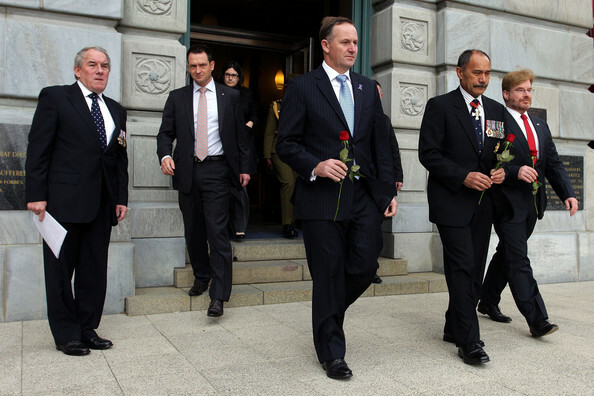 Mr. Key made a flimsy comparison to what Helen Clark did when she sent engineers to Iraq. This is a practice that the National Government uses often, which is saying “well they did it, so so can we.” It’s an attempt to block attacks from Labour and to try to paint them as hypocrites if they criticise the National Government’s moves. This is a valid manoeuvre if the comparisons are equal and opposite but unfortunately for Key in this instance they are not. The Helen Clark led Labour Government sent “two rotations of 61 engineers [to spend] a year in Basra from September 2003, performing engineering and humanitarian tasks.” This can hardly be compared to training soldiers to kill in combat circumstances. The most concerning issue is that Mr. Key claims we are not going to be war, but then also acknowledges that he is not sure if this is war or not. From the interview when asked if we are going to war. …on the basis that we provide training neither would we be [going to war]. So, you know, if you’re out there and you’ve got your soldiers running around involved in fire-fights and, y’know, your bombing people or whatever the ‘Yup’ you’re at war, but I’m not sure that’s the same case if you’re providing training. “I’m not sure that’s the case” are the six most concerning words to me in this whole debacle. There is every chance that NZ soldiers are going to end up in fire fights (whilst training Iraqis) and be killed…and John Key is “not sure” if we are at war or not. To me it sounds like how Vietnam wasn’t a war but a ‘Police Action’ and my vote is to stay out of it.